G FUEL Vitamin Drink: Does It Work? Is It Safe? In the ever expanding universe of energy drinks there is another addition called G Fuel. The producers of G Fuel claim that it is an all-natural energy drink designed to deliver a wide variety of important vitamins and, just as importantly, a number of antioxidants, all without producing any debilitating crashes or caffeine jitters. For users involved in an intense workout regimen, G Fuel is designed to produce high levels of energy and endurance without adding unwanted sugars. Another added claim is that, whether you're using G Fuel as a workout booster or you're just looking for added energy in your normal daily life, users of all kinds can expect to experience heightened levels of mental sharpness and cognitive clarity. 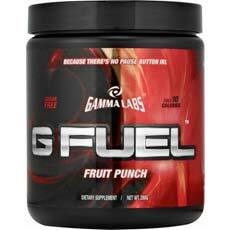 The key claim of G Fuel is that its formula is designed to boost the metabolic rate of any user. This process allows for a highly efficient burn of fat and leads to a greater assimilation of nutrients from food intake. The inclusion of a list of critical antioxidants is designed to promote greater overall health benefits by counteracting the production of free radicals that are a common byproduct of athletes involved in high intensity training regimens. So, the theory behind the formulation of G Fuel is based on a long history of clinical research and accepted truths within the world of high level physical training. A look inside the elemental makeup of G Fuel shows that it is comprised of two important and separate complexes, or blends, filled with active ingredients. The first complex is designed to produce high levels of energy and contains a proprietary blend of active ingredients used in this product including taurine, caffeine anhydrous and acetyl-L carnitine. The other complex or blend is designed to enhance mental focus and cognitive clarity and includes L-Tyrosine and N-Acetyl - both long recognized for their ability to enhance mental agility. The manufacturers of G Fuel claims the visible results can be achieved with two weeks of regular use and, in some cases, even after as little as one week if properly combined with well planned and executed high intensity workouts and a strategically designed diet made up of high energy, low fat foods. The ingredient list is made up of a significant list of ingredients with a track record of producing increased ability to burn excess fat. The ingredient list contains a myriad of well recognized energy boosting vitamins designed to boost metabolism rates. The manufacturers' website is well organized and offers an above average user experience along with more information than many of its competitors. User reviews show that G Fuel can have a number of potential side effects especially in users prone to having allergic reactions to certain natural products. Because G Fuel is only available through online sellers, those without internet access will have a hard time ordering it, and returns can be problematic as well. There are multiple complaints that delivery time for orders far exceeds those listed by the manufacturer. G Fuel: How Safe Is It? As with any ingestible health product, especially those of the nature of G Fuel, it is always advisable that the potential user consult with a qualified physician to determine if the product is right for them. Also, the potential user should be aware of any existing conditions they may have including heart problems as G Fuel contains caffeine. Since G Fuel claims to be made from all natural ingredients there is not much information that any serious research or clinical study could provide beyond the well-established studies surrounding the potential health benefits of using these products or any detrimental health risks associated with them. G Fuel is a powder that is designed to be mixed with water for best results. A single scoop of seven grams is the recommended dosage and should be taken for at least one month. The price per bottle is $29.98. In the universe of high level energy drinks and fat burners on the market today G Fuel does offer a list of all natural ingredients with a track record of providing highly beneficial results in line with many of its competitors. The question here is - how well does it stack up against the top competitors? Taking all the factors into consideration our final analysis is that G Fuel, despite its formidable claims, does not measure up to the standards set by the top energy boosters available today. This is mainly due to the fact that the information provided for the products' two main complexes are insufficient for any potential consumer to properly evaluate. Secondly, user reviews and other research indicate that customer service is not on the level of top tier companies. Since there are is a large number of superb quality energy boosting drinks that help to improve energy levels and burn fat while avoiding unwanted side effects such as energy crashes and caffeine jitters we such any experienced supplement user to look elsewhere.